I posted the poem below before, one of my favorites, because it is a true story. It is a simple story of how I, as a dangerous nine-year-old black boy in Pro Keds, scared an automatic-rifle-toting National Guardsman near the Safeway in Washington, D.C. It was April 1968, no more than a week or so after Dr. King was assassinated. Tensions in the District were still high after the rioting that shook the nation’s capitol. The Government had called in the National Guard, ostensibly to prevent further rioting, but as much to scare the populous into staying in line. As I turned the corner, deep in my head as I always was at age nine, a nervous Guardsman spun, startled, and aimed his rifle directly at me. Within a moment, he had recovered, and pulled the gun down. Later, as an adult, I could remember the incident, and was certain that he meant no harm. He was young, and nervous, and alone. And I was black. The death of young Trayvon Martin stirs up these memories for me. It is not because the boy died, and I did not. It is not because he was black, as I am. No, I remember my encounter with the Guardsman because I was innocent. All I was doing was going to the store. I wasn’t targeted because I was black. I was targeted because the Guardsman had been taught to fear me. Fortunately for me, I chose to tell no one. I chose not to learn to fear the soldiers in return. I chose not to fear uniforms, or my country, or those in charge. But I was lucky, you see. I was raised in the house of a career army officer. Other young black men aren’t so lucky. They learn to fear, and in return, become objects of fear. And so, the cycle continues, one that can be traced as far back as Reconstruction. When I voted for Obama in 2008, I did not vote for slogans, or change, or the end to pointless wars. I voted for the American triumph of humanity over racism. No matter what else Obama does, or does not do, we Americans, together, won that victory. It was not an empty one. Less than four years later, I can still feel the change. It is no longer cool to hate. It is no longer acceptable to fear those different than you. It is no longer believable that anyone cannot – do anything – for reasons that have only to do with biology. I still have hope. 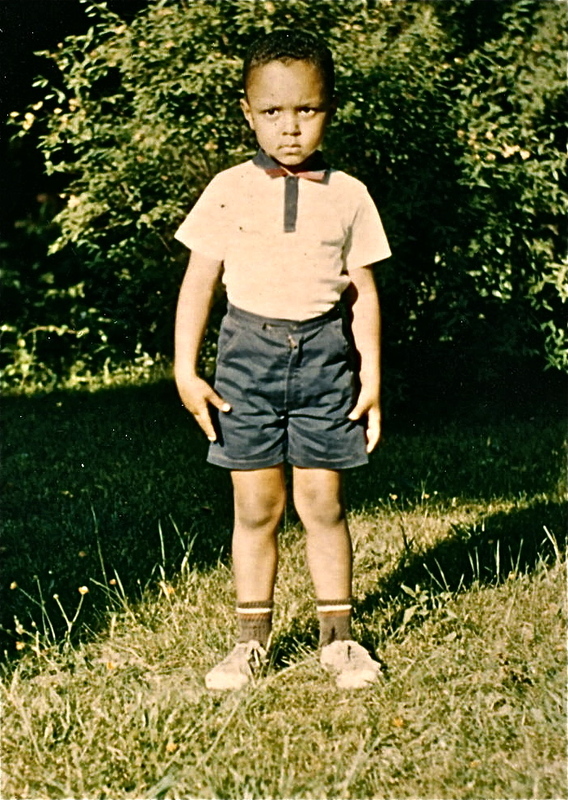 And I think to 1968, and I weep … because I am still Trayvon Martin. but because I didn’t know better. at my young brown head. Amy, I am glad the words meant something. Thank you for your comment. This is beautiful. And you’re right we can choose to let this fill us with fear and hate or we can heal, grow, and work towards something better. Thank you. Thanks. My grandfather took that photo. We are still speechless – thank you for providing words for us. A very moving post. It takes a long time for change to happen. “You see, when we stood together, those who voted for Obama, and those who voted against him, and watched his Inauguration, there was an unspoken tide swelling that said, “We shall hate no more. This far, no further.”” That unspoken tide swelling….. YES! I could never put that into words!!! beautifully written, as always!!! Thanks, Jules. You are very sweet.